Directions: Place combination of fresh and frozen fruit into blender. Add enough milk (I use almond milk or cashew milk usually) or juice to loosen the fruit enough to let everything blend. Blend for about 45 seconds. 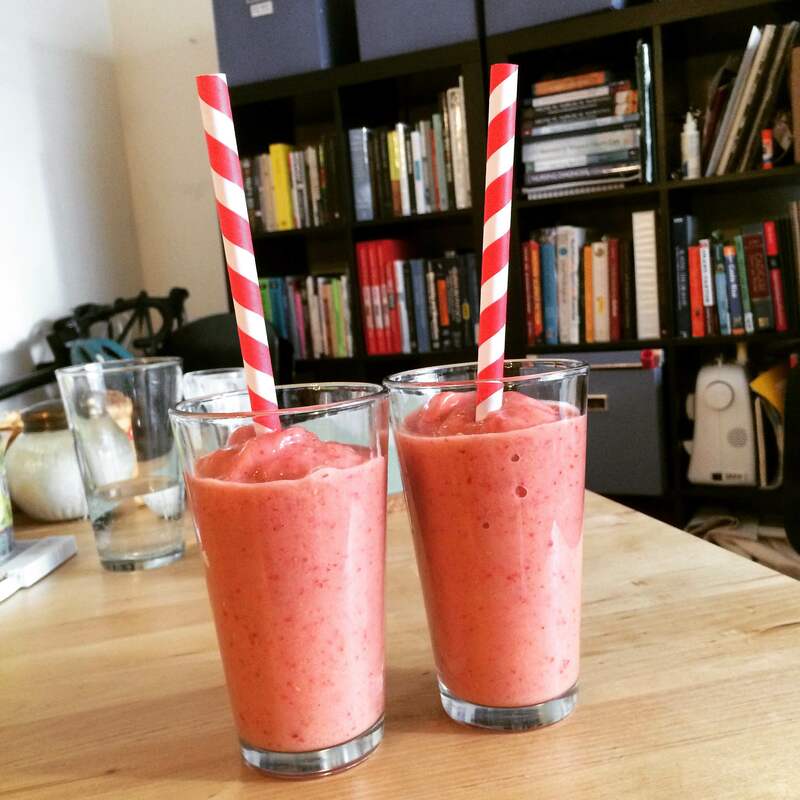 Note: Using frozen fruit eliminates the need for ice, which waters down smoothies. However, if you use all frozen fruit you’ll need a lot more liquid to make everything blend. You’ll end up making a massive quantity of smoothie this way! I like to use a combination of fresh and frozen fruit.